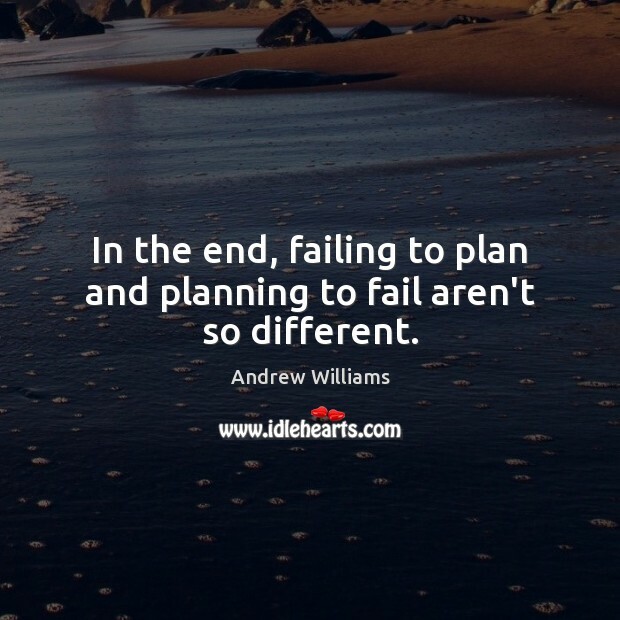 Enjoy the best inspirational, motivational, positive, funny and famous quotes by Andrew Williams. Use words and picture quotations to push forward and inspire you keep going in life! 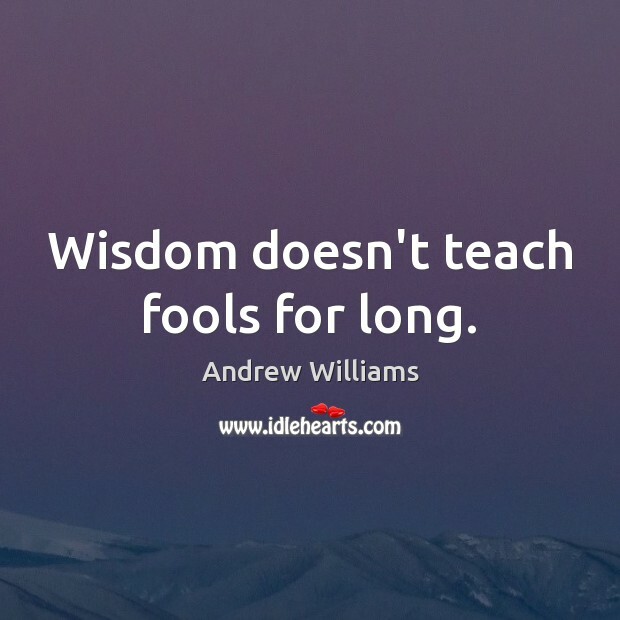 Wisdom doesn't teach fools for long. If you're going to be a wannabe, make sure you 'wannabe' something great. 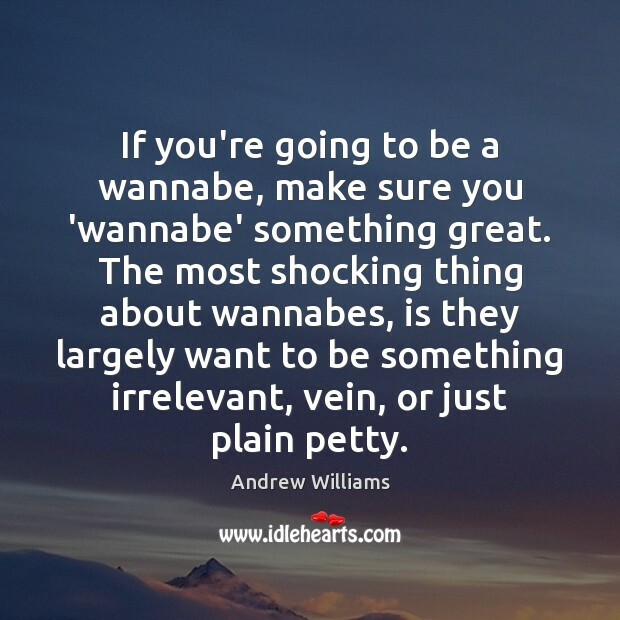 The most shocking thing about wannabes, is they largely want to be something irrelevant, vein, or just plain petty. 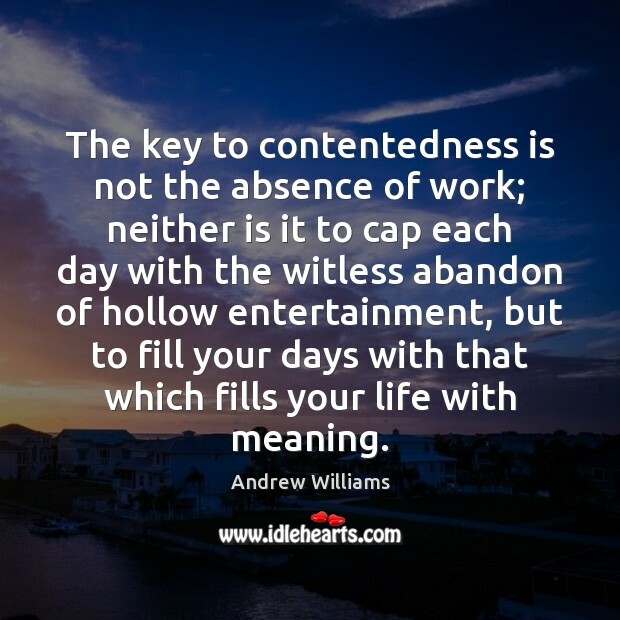 The key to contentedness is not the absence of work; neither is it to cap each day with the witless abandon of hollow entertainment, but to fill your days with that which fills your life with meaning. 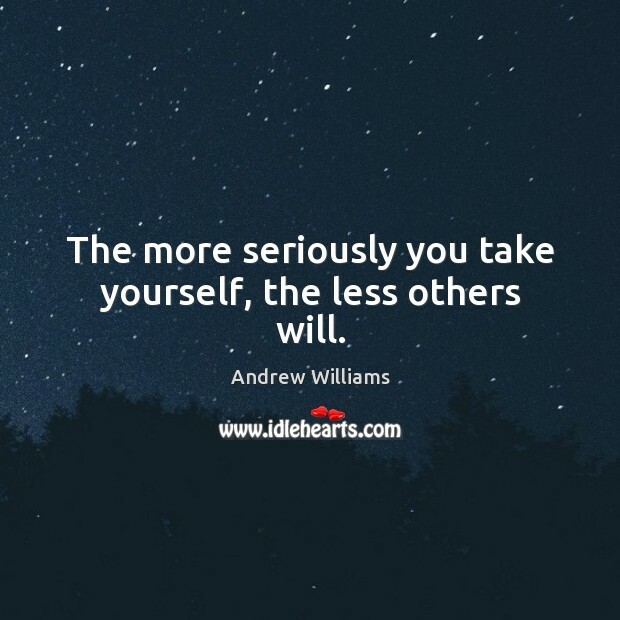 The more seriously you take yourself, the less others will. It's possible to love without sacrificing-but who would notice? 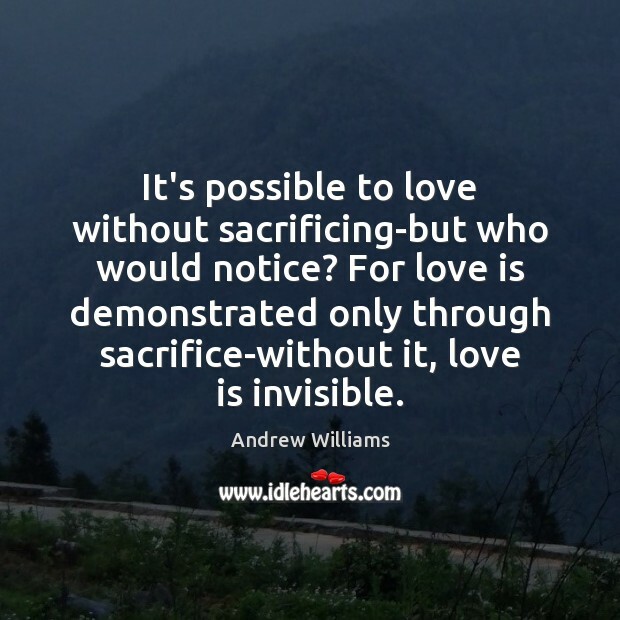 For love is demonstrated only through sacrifice-without it, love is invisible. 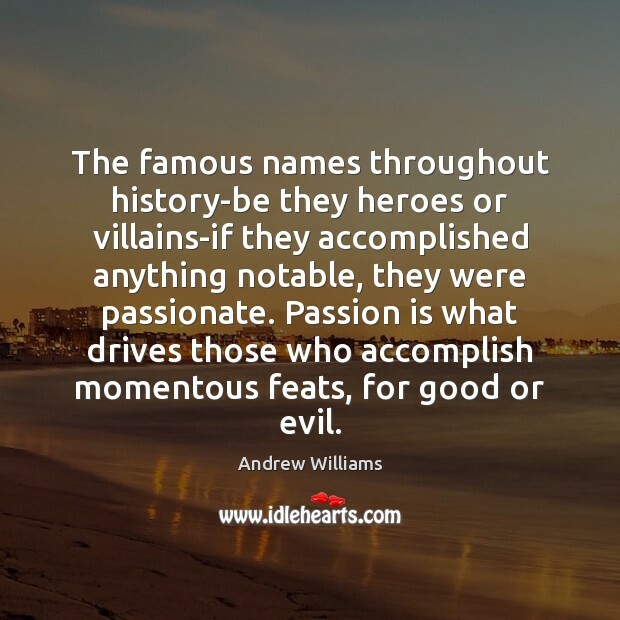 The famous names throughout history-be they heroes or villains-if they accomplished anything notable, they were passionate. Passion is what drives those who accomplish momentous feats, for good or evil. 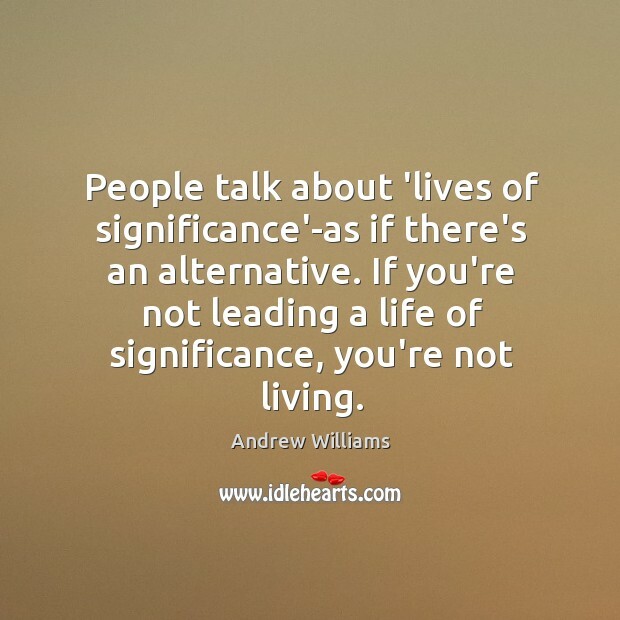 People talk about 'lives of significance'-as if there's an alternative. If you're not leading a life of significance, you're not living.